From the outside this place doesn’t look like much (I think my husband has learned to just trust me), but on the inside this place is impressive. Since this is a new comer to Portland, I was excited to try it. We arrived just as dinner was starting and we were nearly the first ones there. That didn’t last for long though, as this place packed out. We looked over the menu and so many things looked great. We kept pondering and then all of a sudden we see the Chef’s Choice. You choose a price point between $25-$50 per person (we both had to order this) and the chef sends out the food, all his choice. I LOVE dining this way, so after a few questions, trying to figure out if we would get enough food, we chose the $35 price point. She said this was the most common and we would get plenty of food. Menus down. No more decisions to be made. Immediately the food starts coming out….this is how it came out and it was perfectly timed as it kept on coming out. 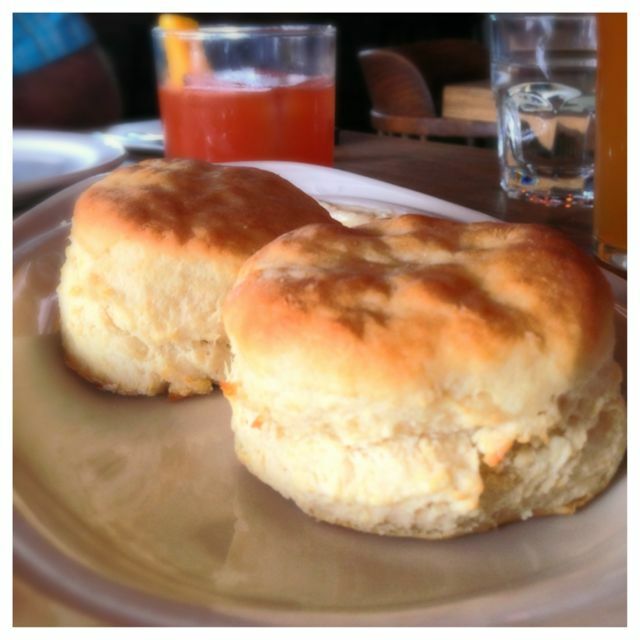 Super moist and really good biscuits served with honey butter sprinkled with salt. 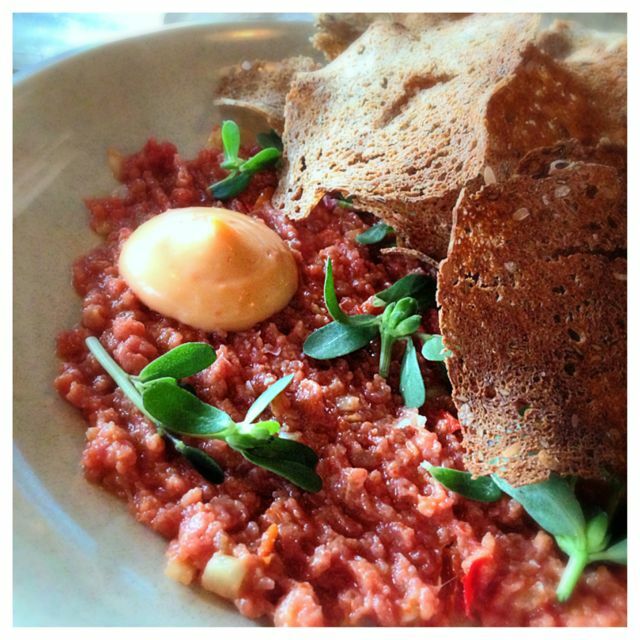 Here’s a dish, Beef Tartare, that I would have never EVER ordered. Surprisingly nothing about this dish bothered me. We both ate through this like it was cooked meat. It was tender, flavorful and the sauce was the perfect little added flavor to each bite and the bread crisps were light and did overpower the beef tartar. 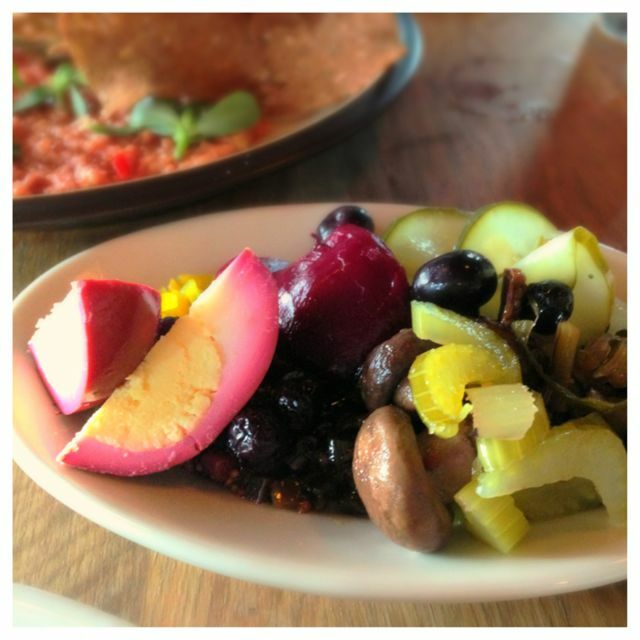 I love pickled eggs, and beets, so I was so happy with this dish. I had never had pickled blueberries, and they were surprisingly good. The pickled mushrooms were also a treat, but do not ask me about the celery. That is one veggie I do not like, at all. And I like a lot of things. My husband did say it was really good and that they celery flavor was still able to come through. 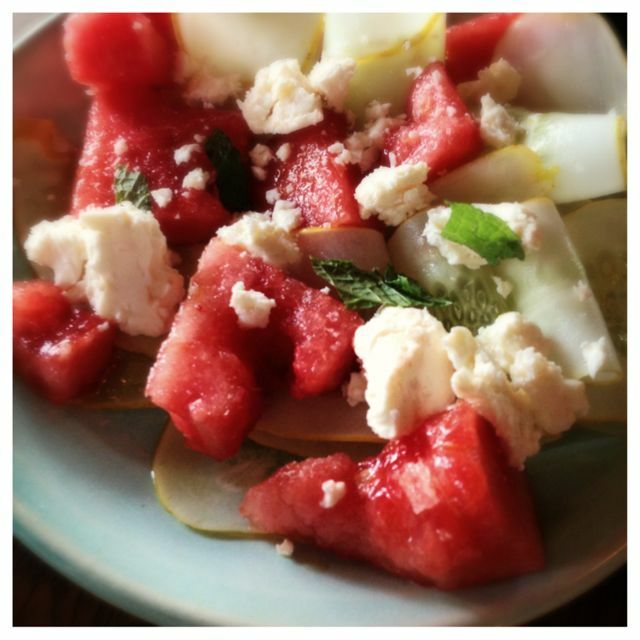 This watermelon and feta salad was also served with shaved summer squash. I love this summer dish, simple yet full of flavor. I don’t remember what they were stuffed with, but these were very hearty. Great flavor too. 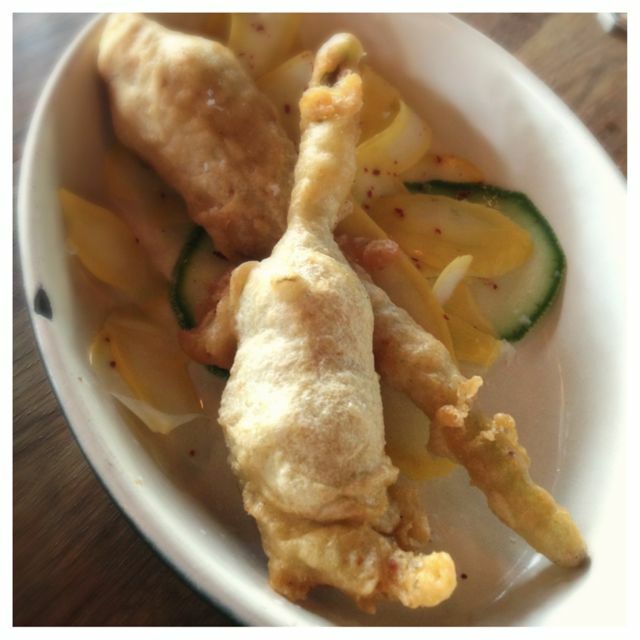 I should also add that the salad under the squash blossoms was also a treat. Even though some things looked similar they all had different dressings. This was actually a dish I would have chosen had we just ordered off the menu, so I was very excited to see it come out. It was loaded with pork and the pork was tender and had a really rich flavor. 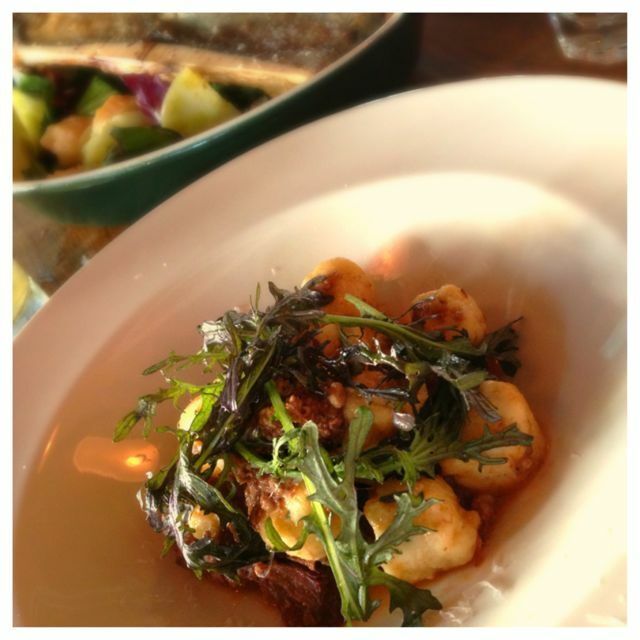 The gnocchi were very tender and cooked perfectly. The dish is much bigger than it appears. We both got plenty of this dish. 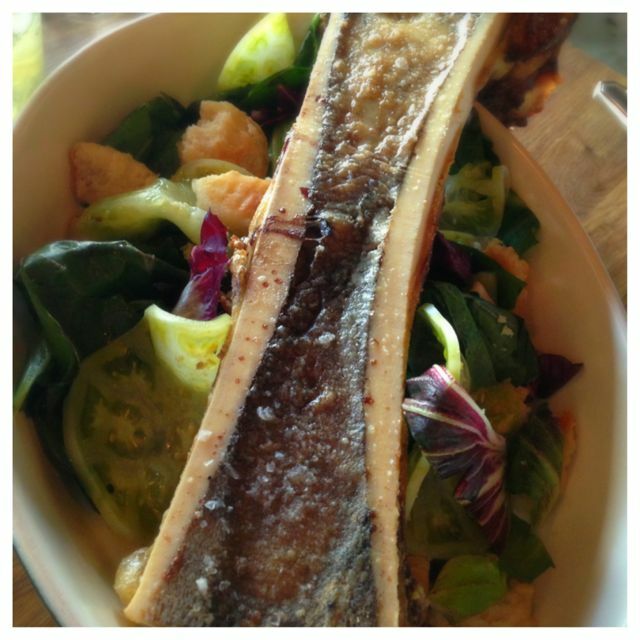 Bone Marrow with biscuit croutons and pickled tomatoes. I won’t lie, we don’t like bone marrow. We both tried it one more time to be sure, but not fans. The salad underneath was really good. I loved the biscuit croutons and the pickled tomatoes, it was an interesting combo that was perfect together. 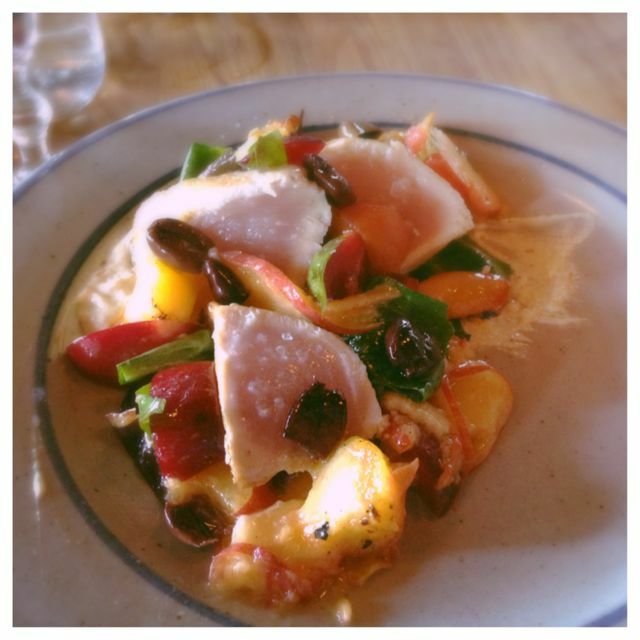 This dish contained the sweet & salty and it was really good with the albacore tuna. I just loved that there was a lot going on, yet the tuna was flavorful enough to stand out. Our final dish was a favorite for sure. They ended us on a high note. 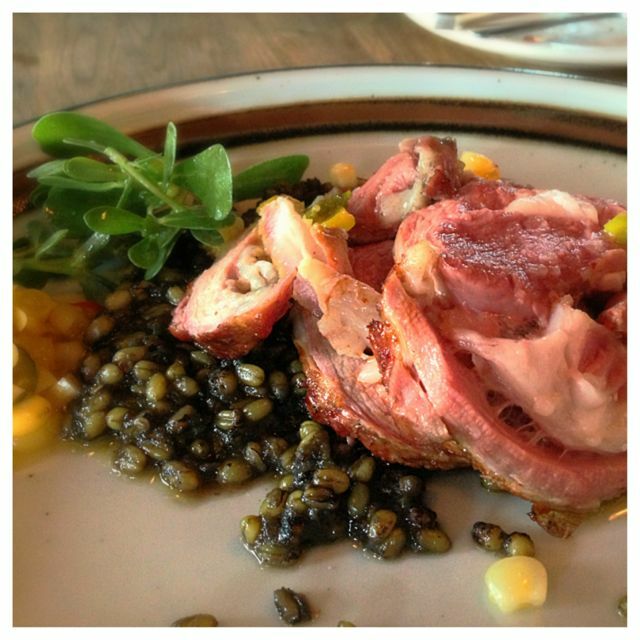 It was lamb (that was not as rare as the picture makes it look) with a farro salad and corn. I love farro and the lamb combined with it was so perfect. The lamb was not super strong, which I appreciated. I could have easily eaten a whole bowl of that farro salad. It was so good. The chef wowed us. We felt like we got enough food and even a few thing that weren’t on the menu. Pick a price point and just let them do their thing. This is not the first time we did Chef’s Choice. I just really wish more places would do this. 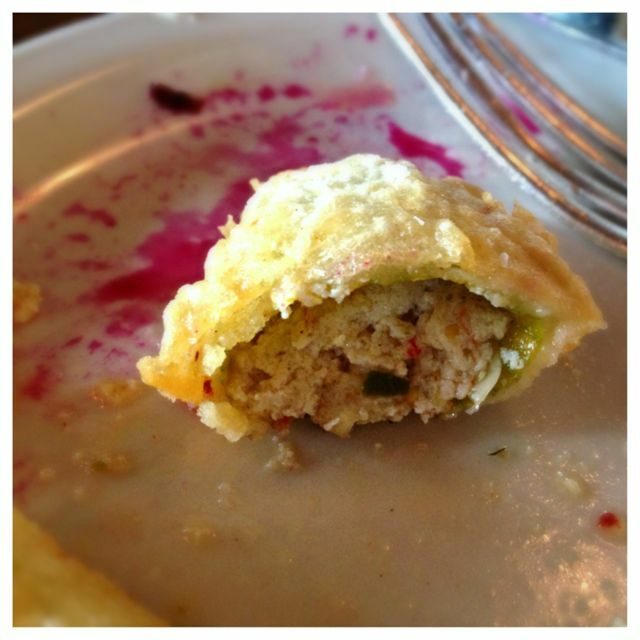 I can safely say I did EatMyWayThru Old Salt Marketplace and I suggest you do it too. By the way, this is not just a restaurant. It’s also a deli & meat shop and a mid-week farmers market. Pricing was good for the quality of meat and produce we were getting. It was spectacular. Service was great. Our gal checked on us often, helped us make some decisions and was on it. They have a great bartender making some impressive drinks. We had a few, plus they have a great line up of beers on tap, so I got one of those and a good wine list as well. Old Salt Marketplace is located on NE 42nd. This place rocks… they do a 10.00 grab and go every night too… just superb….. the meat in the meat market is spot on some of the best available in NE Portland. Old Salt has a late night happy hour that is noteworthy as well. Yes, they do it all and they are doing it really well. If you follow them on Facebook you can keep up with their Grab and Go. https://www.facebook.com/OldSaltMarketplace Great tip, thanks Jeff!